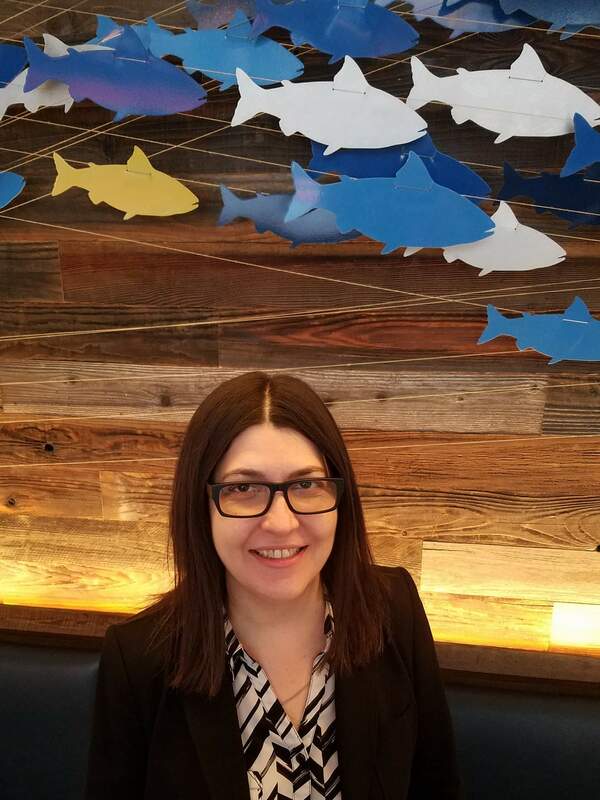 Name // Title // Bio Sabrine Marques, General Manager at Passionfish Bethesda. I was born in Brazil and moved to the United States in 2003, a year after graduating from college I got a degree in Computer Technology but I did not enjoy working on the field. After moving here, I started working in the hospitality business. I moved from Ohio, to California, to Pennsylvania then to Maryland. Despite all the different states, one thing stayed the same, my passion for hospitality and desire to grow in the field. How did you get started in the business? What was your first job in the industry & what did you learn from it? My first restaurant job was as a hostess. I immediately knew that I belong in the industry after my first day. I loved every aspect of that job. I learned that job was very important since we were the first and last impression that guests had of our restaurant. After a few months I became a server, then bartender, then manager. Where do you see yourself in 5 years? I can’t see myself doing anything else outside of the industry. I’ve had an amazing 6 years with Passion Food Hospitality and I look forward to a new challenge with them. What is the best piece of advice you're ever been given? Respect is earned. I work hard for my staff so they can do the same for me. What profession other than your own would you like to attempt? I love every aspect of the industry. I love meeting new people and making new connections. I love providing great service and knowing that we are enhancing someone’s experience. I love that we are a place where people come to celebrate and therefore we will always be remembered. I love how fast pace and kind of chaotic it can be sometimes. I can’t imagine doing anything else. What is your favorite ingredient? I’d have to say Steak. Growing up in Brazil, steak is our favorite food. What insider foodie tip do you have for diners? Ask for recommendations and suggestions. We know our product and we don’t just try to sell something because it’s expensive. We try to sell something because we believe in our product and how it will enhance your experience with us. You're hosting a dream dinner party. What three people would be at your table? Not to sound boring, but one of them would be my girlfriend and two other friends. I love sharing great moments and great food with friends. What are your pet peeves? Tardiness and people being lazy.